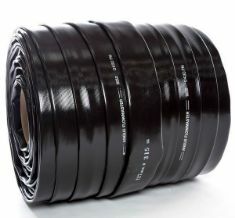 Angus Flexible Pipelines manufactures layflat hose from high tensile synthetic yarns which are circular woven and then totally encapsulated in a tough elastomeric cover and lining. Different yarns and covers are used for different applications, but what they all have in common is exceptional strength and superior hydraulic performance, ease of storage and transport, rapid installation and retrieval, cost-effective set-up and operation, and long service life. Angus Flexible Pipelines provides innovative layflat hose solutions for a wide range of fluid transfer applications and has maintained its position at the forefront of layflat hose technology through continuous investment in research and development. This is carried out at the company’s Technical Centres of Excellence in the UK, USA and Australia. The company’s breadth and depth of experience is unsurpassed in the industry. Angus Flexible Pipelines has developed a broad range of specialist layflat hose products that are today used in a wide variety of industries and applications. 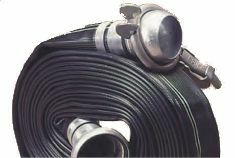 Formed in 1970 as a division of Angus Fire, the global firefighting technology company, Angus Flexible Pipelines was created to develop the company’s layflat fire hose technology into non-fire related industrial markets. During the 1970’s Angus Flexible Pipelines pioneered the development of Irrigation Hose, a high tensile, long length hose for use with travelling irrigators. This was soon followed by Chemicoil for delivering fuel and chemicals, Super Aquaduct for delivering potable water, and Wellmaster, which is now the world’s premier flexible rising main. Recent developments include Chemicoil 1200 for long distance high pressure fuel transfer systems and Wellmaster 400 for deep groundwater abstraction. Angus Flexible Pipelines has third party accreditation to BS EN ISO 9001:2008 Quality Management System. All raw materials, components and finished products are rigorously tested and inspected to ensure consistent reliability and performance. Wellmaster has: world-wide potable water approval, including AS4020 approval in Australia and NZ; high safety margins in both tensile and hydraulic performance; total corrosion, microbiological and internal scaling resistance; compatibility with all types of submersible pumps; and a long operational life with a five year full replacement warranty. With over 70,000 installations of Wellmaster product around the world, it is the flexible rising main of choice. ANGUS travelling irrigator drag hose constructed from a circular woven synthetic jacket encapsulated in rubber, suitable for all types of water operations. ANGUS flowmaster is a lay flat drag hose in TPU, suitable for all types of irrigation applications.